Take the Doctor everywhere with you! It's bigger on the inside, and will store all your goodies, whether you use it as a pencil case, a loose change pouch, or a make up bag. 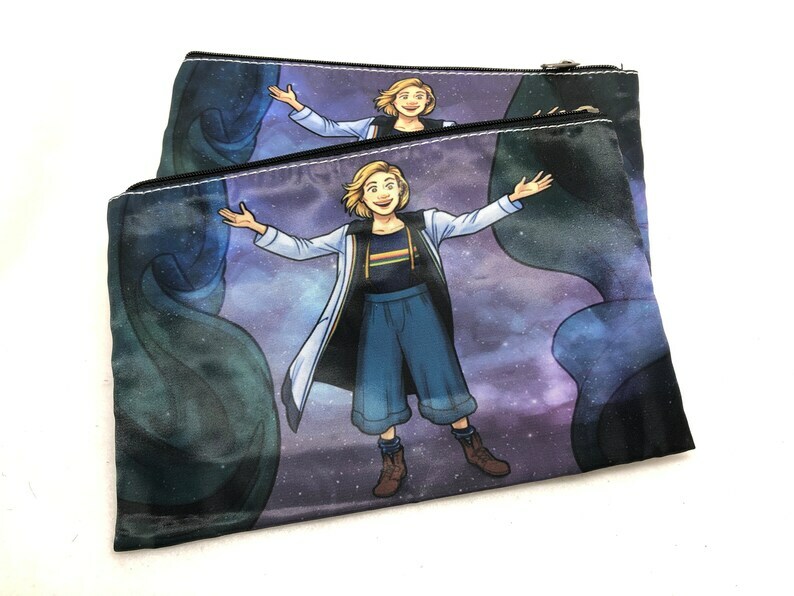 You will receive ONE pouch of the Doctor's reveal against a space background. Items in photographs meant to show scale and function. The pouch is 8" x 5" and includes an interior zipper with a mini pocket for extra storage. The coin purse is 4.5" x 2.75". Gorgeous item - I love it!